Like most cities, Pueblo, Colorado occasionally takes a public relations hit. An article in High Country News once labeled it the Silicon Valley of Marijuana, warning of attracting undesirables and describing Pueblo as a “fading steel town.“ But Mark Twain said it best: Bad news travel halfway around the world before good news gets out of bed. With that in mind, the Greater Pueblo Chamber of Commerce decided more than 20 years ago to aggressively promote Pueblo’s many positives. A riverwalk which should be the envy of any city of its size in the U.S.
A charming historic district, a modern convention center – and a bevy of pubs and restaurants that put Pueblo on a list of Surprising Foodie Cities. 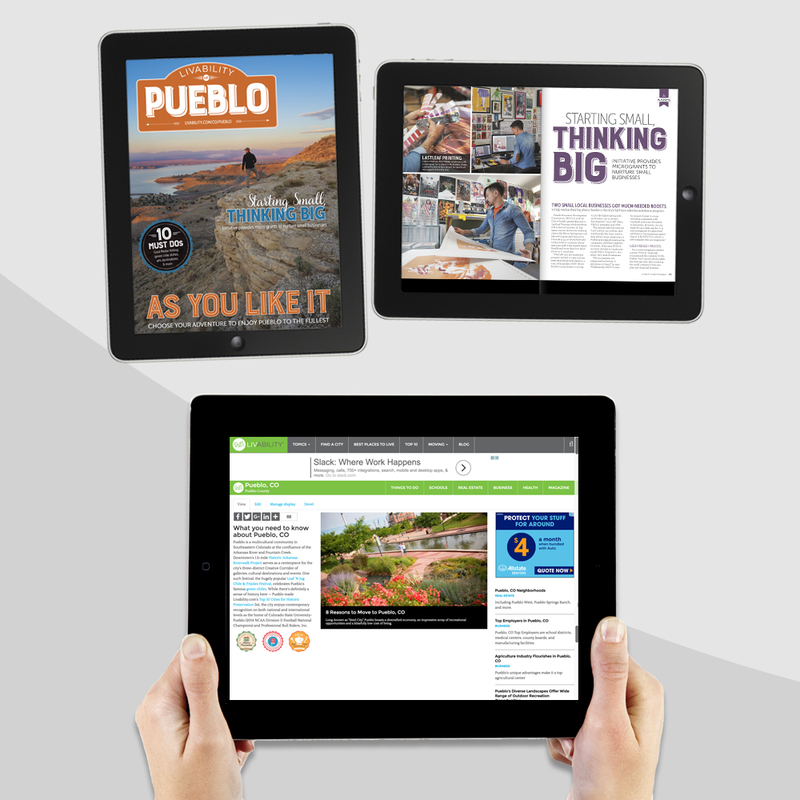 In partnership with Livability Media, the Pueblo chamber distributes a top-quality Livability print magazine to tell its story directly to prospects for business or residential relocation. More importantly, Pueblo has mounted a savvy digital and social campaign in partnership with Livability – yielding more than 30,000 sessions nationwide each year through search and a smart linking strategy.